The Overwatch League All-Star Game starts later today, but Blizzard already has a hit on its hands with the Widowmaker 1v1 exhibition, which proved to be the pinnacle of All-Star Saturday. The Overwatch League All-Star Weekend kicked off on Saturday with a day full of side events featuring the best players in the league. The events were mainly centered around fun side events, evoking the atmosphere of similar All-Star Saturdays for traditional sports leagues, like the NBA and the NHL. It was much more of a laid-back atmosphere than what normally unfolds at the Blizzard Arena. Saturday set the tone with 3v3 Lucioball, featuring three members of each team. That included players like Chan-Hyung "Fissure" Baek, who admitted to Shacknews that he had never played this mode prior to this weekend. The idea was to get together and have some fun. But there was one event that came across more intense than anyone expected. That was the Widowmaker 1v1, which quickly proved to be the highlight of Overwatch League All-Star Saturday. While Saturday's festivities like Lucioball and the Talent Showdown, the latter of which centered around casters and personalities stepping into the player role, focused more on fun, the Widowmaker 1v1 exhibition had a much heavier air of competition to it. This event saw eight of the best Widowmaker players in the world go one-on-one in first-to-7 sets. Assault rifle fire was banned, there was no capture point, and headshots were the name of the game. The idea was to be the most effective sniper on the field, while constantly taking Widowmaker on the move. "I thought of it like, this Widow vs. Widow thing is kinda weird, because every other event here is for fun," eventual Widowmaker 1v1 winner Lane 'Surefour' Roberts told Shacknews, laughing. "All of a sudden, there's this Widow 1v1, where everything's serious and people are going to rank every Widow, based on who wins and who loses. So I was just... trying to win, I guess." The more competitive atmosphere proved to be an epic contrast to the rest of the evening's events. That's not to say there weren't entertaining moments throughout the competition. There was the New York Excelsior's Do-Hyeon "Pine" Kim occasionally dancing around, the Seoul Dynasty's Fleta and the Los Angeles Gladiators' Surefour exchanging waves, and the Philadelphia Fusion's Jae-Hyeok "Carpe" Lee clinching his semifinal match after his opponent accidentally fell off a cliff. 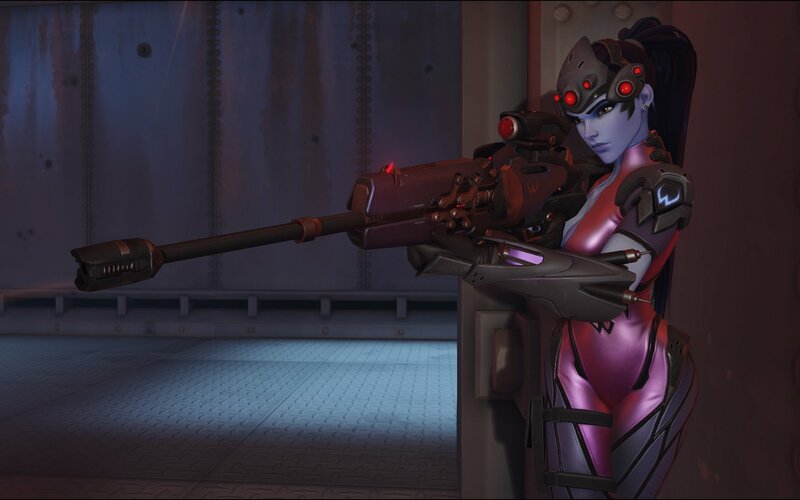 But the Widowmaker 1v1 came across like the Overwatch League's version of the NBA 3-point Contest. At its core, the competition was mainly for fun, but there were certainly bragging rights at stake. "For each Widow playing, it's probably more stressful than a natural Overwatch match sometimes," Surefour added. This came across almost immediately when the Atlantic Division's top-seeded Widowmaker Carpe faced off in his quarterfinal match with the Florida Mayhem's Jeong-Woo "Sayaplayer" Ha. Carpe quickly found himself facing a 1-3 deficit and viewers could practically see the switch flip. Carpe went to work and quickly caught up, ultimately taking the series 7-6. The first set was a good indicator of what viewers were in for, with the top Widowmakers putting in some intense effort. What made the Widowmaker matchups so intriguing was that it was a naturally different setting for this character. 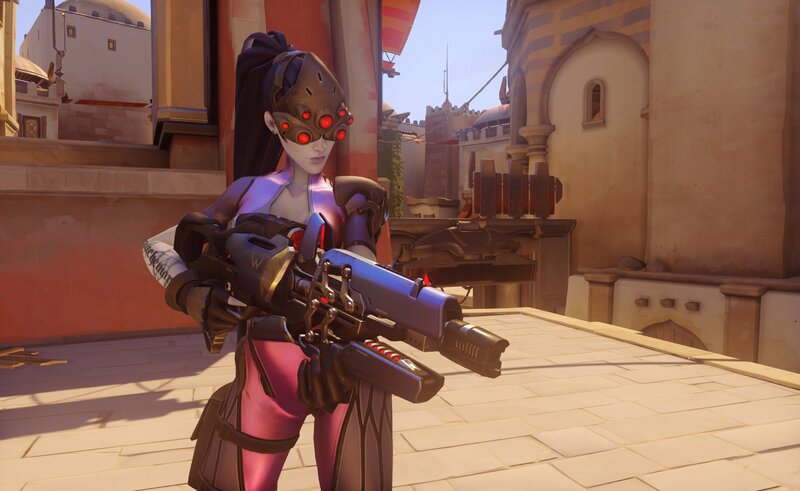 Rather than hanging back in the shadows and helping support the team, the Widowmaker had to take a much more active role. The player had only one target and had to focus on scoring a single kill. After his semifinal win over the Los Angeles Valiant's Terrence "Soon" Tarlier, Surefour spoke about the different atmosphere for this event. "You always have to change how you're playing," Surefour explained. "During the match against Soon, I was trying to be really aggressive at times, but then he'd shut me out, so then I'd play really slow. Then he'd play aggressive and I'd switch it up a lot. In actual matches, you basically have to play around whether you're going to get shut down by [Winston], or you're getting pocketed, or the other Widow's always looking for you, whether you're able to take your peak shots, whether you're at the flank or not. Basically, it's just a team game, so you have to play around everything that's happening." But what made the Widowmaker 1v1 an ideal All-Star Saturday event was the potential for memorable moments. There were close-up face-offs that often ended with everyone unscathed, eliciting raw emotion from the Blizzard Arena audience. There were an ample number of trickshots, like Surefour clinching his quarterfinal match with Fleta by plunking him in mid-cliff plunge and later clinching the semifinals with Soon by popping him in the blink of an eye. "If the camera was on me, I was doing a lot of hooks to see if I could ever do that," Surefour said, recalling the last round with Soon. "I was like, 'Well, this is the last one, so me and him are probably going to do the same thing, so it's either me or him.' And it ended pretty fast." The memorable plays and opportunities for style points extended all the way to the Finals, where Surefour did his best impression of the TotalBiscuit "LUL" emote after practically spawn-killing Carpe, en route to victory. The Overwatch League has a lot it can take away from this All-Star weekend. Blizzard has been receptive to change and in adjusting based on what's worked and what hasn't. Everything that worked and didn't work for this year's first All-Star Weekend is a conversation for another day. But one thing that definitely worked was the first Widowmaker 1v1, a true test of skill and what could be one of the most entertaining events of this All-Star Saturday. The Overwatch League All-Star weekend is set to continue later today, with the inaugural All-Star Game kicking off at 11AM PT. I loved it! Only complaint is it felt a bit long. Maybe do a five minute DM 1v1 headshots only, or otherwise speed up time between rounds. The program we got walking into the arena originally had the quarters and semis as first-to-5. Not sure why they changed it up, because that would have worked better. Yeah that’s odd. They even changed after the broadcast cause I swear they said first to ten kills in the Finals but once it started they said first to nine. But yeah, super fun to watch, but by the end of the semis I was kinda blah about it haha. The Finals were tense af tho.